In the long run value is measured by performance and durability. Value is what the HS Series of Utility Vehicles have been delivering to enthusiasts world-wide since its introduction in 2006. 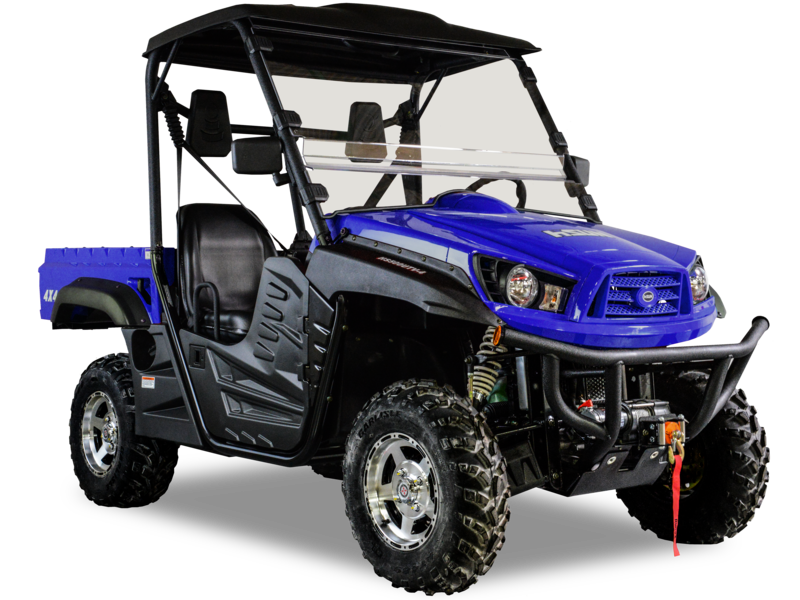 The HS Series electronic fuel injected four-wheel-drive UTVs come in three different models/engine displacements; 400cc, 500cc, and 700cc. Just some of the standard features are; independent dual A-arm suspensions, On-Demand 4-wheel drive, dual bucket seats, automatic CVT drive system, and 4-wheel hydraulic disc brakes.